1.Powered by dual 18650 batteries. 4.HW-N and HW-M mesh coils. Eleaf Saurobox Kit consists of Saurobox mod and ELLO Duro tank. 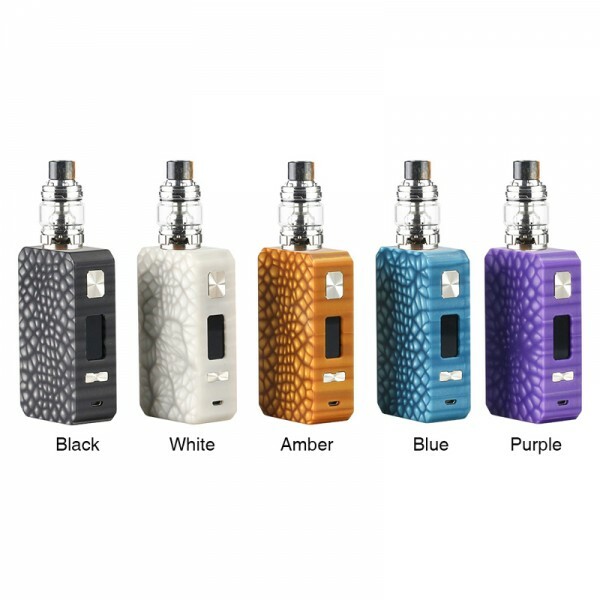 The mod's whole body covers with a new special kind of resin material, which is stylish distinctive and lightweight. 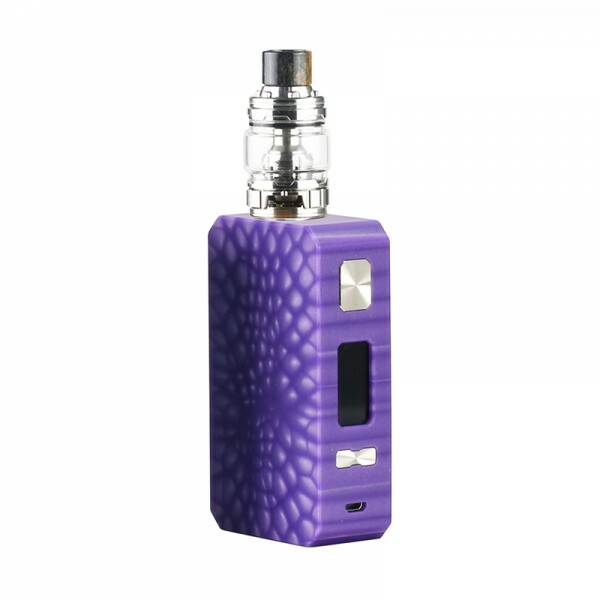 The Saurobox mod is powered by dual 18650 batteries and provides a maximum output of 220W. With 0.96 inch TFT color screen and user-friendly firmware, it is easy to use. It can be fully charged fast with 2A quick charge and balance charging capabilities. The ELLO Duro atomizer supports 6.5ml e-liquid capacity and features retractable top fill solution. It utilizes the HW-N and HW-M mesh coils, providing you with huge vapor and great taste. 1. 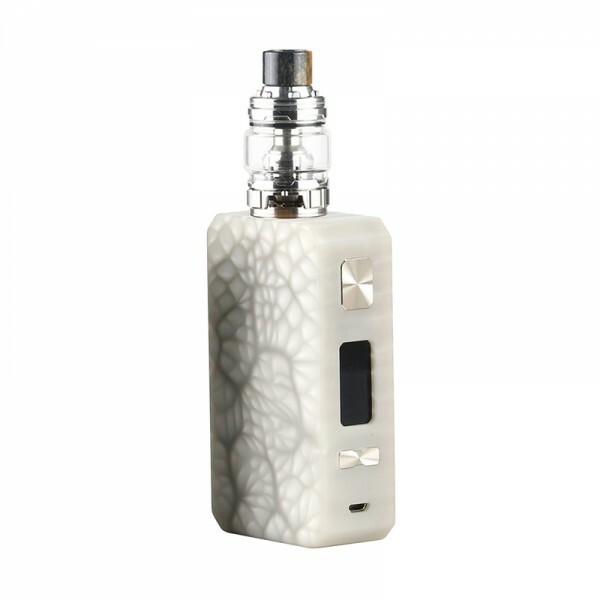 The mod's whole body covers with a new special kind of resin material, which is stylish distinctive and lightweight. 2. 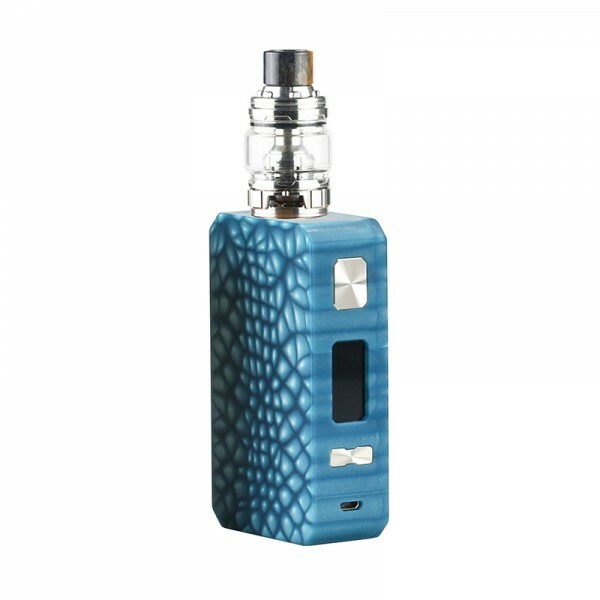 Powered by dual 18650 batteries, it provides 220W maximum output. 3. With 0.96 inch TFT color screen and user-friendly firmware, it is easy to use. 4. The Mod can be fully charged fast with 2A quick charge and balance charging capabilities. 5. The ELLO Duro atomizer supports 6.5ml e-liquid capacity. 6. Easy to refill with retractable top fill solution. 7. HW-N and HW-M mesh coils provides you with huge vapor and great taste. Simply charge Saurobox by connecting it with a computer, a power bank, a wall adapter or other electronic devices (with a USB port that is capable of providing a charge) via USB cable, also you can purchase an inexpensive USB car adapter, thereby affording you the ability to charge the Saurobox in the car. This is particularly useful while you are on long drives and road trips.